To keep your makeup in good condition and ensure you always look your very best, follow these makeup maintenance tips. Replace mascara every three months to prevent accumulated bacteria from causing an eye infection. Use liquid eyeliner for up to three months; then replace it. Feel free to use pencil eyeliner until it runs out, since revealing a new surface each time you sharpen the pencil prevents problematic bacteria growth. Throw out cream eye shadow six months after opening. Replace powder eye shadow after two years. Toss any unused liquid foundation after one year of opening and toss powder foundation after two years. Applicators, sponges and brushes harbor more bacteria the longer you use them. To keep bacteria at bay, wash your brushes once a week. To do this, mix a small amount of gentle shampoo and water in a shallow dish. Swish your brushes around, and then rinse with warm water. Reshape the brushes and lay them on a paper towel to dry overnight. You can wash out sponges as well, but since these are inexpensive, it’s often easier just to replace them once a week. If you choose to wash them, sponges can last up to a month before you need to replace them. 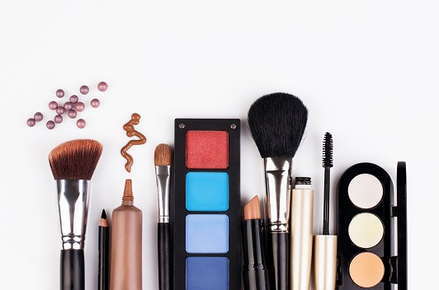 For more makeup maintenance tips or professional assistance in looking your very best, call us today!